The Jack of Hearts is number 11 in a pack of playing cards, as are the Jacks of clubs, diamonds and spades. He is also the villain in a Nursery Rhyme. Another Jack eating in a Nursery Rhyme is Little Jack Horner. They wiped the platter clean. A Jack of all trades is an expression which I have mentioned previously. Every Jack has his Jill is a saying. Jack the lad is a well-known expression. A lad can be an apprentice or someone who gets into mischief. were two playground games which were popular with girls. The game of dabs is slightly simpler, so I’ll describe that first. Its alternative name is five stones. Dabs are light-coloured cubes about 1/2 inch to each side. The game involved sitting on the ground and throwing the dabs in the air and catching them on the back of the hand, then throwing them up again and catching them normally, starting with one, then one more each time. Jacks were metal with arms. A set included a small rubber ball. The jacks were placed on the ground. The ball was bounced and the player picked up a jack and caught the ball before it bounced again. Then she repeated it picking up one more jack each time the ball was bounced. 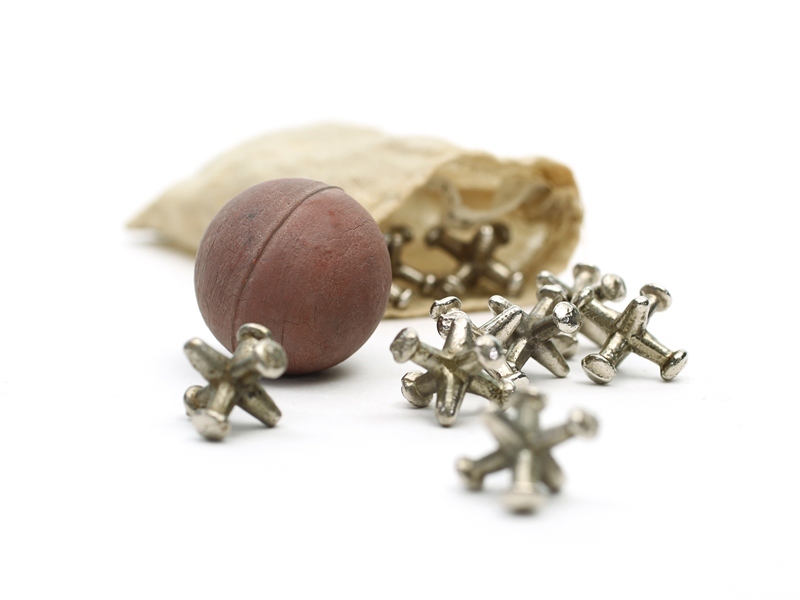 The game is also known as knucklebones. A jack for a car is used to raise it while a wheel is being changed. The Concise Oxford Dictionary gives five separate meanings for “jack” as well as many related phrases. I do not intend to cover all of them here. Jack is a nickname for John, perhaps the most popular name for a boy. One of Jesus’ twelve disciples was called John. He wrote five of the books in the New Testament – a gospel, three letters (or epistles) and Revelation. His gospel includes a verse, which is perhaps the best known in the Bible – John Chapter 3 verse 16 (NIV) For God so loved the world that he gave his one and only son, that whosoever believes in him should not perish, but have eternal life. Always interesting to read these pieces. Thank you, would appreciate that – in my mind (at least) there is quite a difference between the two blogs. I’ve added this one to my links page, too. Wonder if you came across the background to Little Jack Horner at all ? I’ve just listened to this. I had no idea! I remember a song, hit the road, Jack, and doncha’ come back no more, no more, no more, no more….